At Concept Virtual Design we are constantly working with top bathroom product designers, to bring you the most current and up to date designs and features for private client projects and luxury developments. 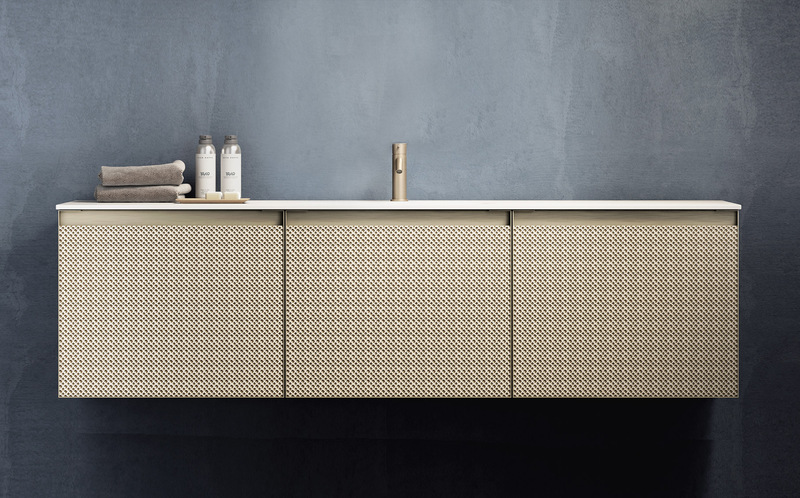 Artelinea has released their new range including new eye-catching designs and luxurious finishes and styles. The Dama unit with a sliding door goes beyond fashion thanks to its personality, elegance, versatility, and modernity. The use of clean lines gives a modern edge to this design while the marble styled door adds a relaxing feature to offset the modernity of this unit. The Gemme collection can be used to create innovative and unique mirrors using geometric shapes fixed to the wall. You can create both free and prearranged compositions to create stunning feature walls within your project . We can also create feature storage cabinets with the Passepartout collection, this wall unit in walnut Canaletto features a black aluminum frame and glass available in 3 different finishes. 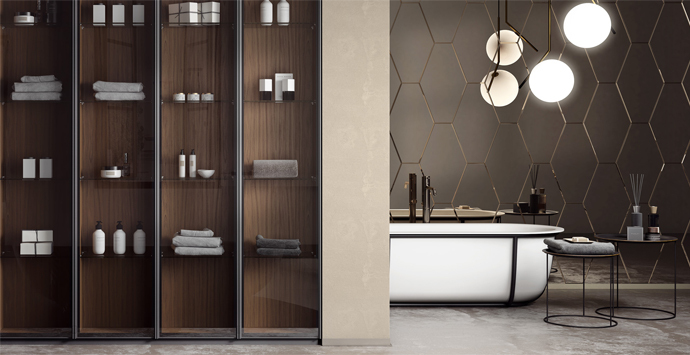 These units would be an excellent addition to any luxury project, its sleek lines give this unit a modern touch while the different glass finishes can create a flow with the colour scheme of the room. 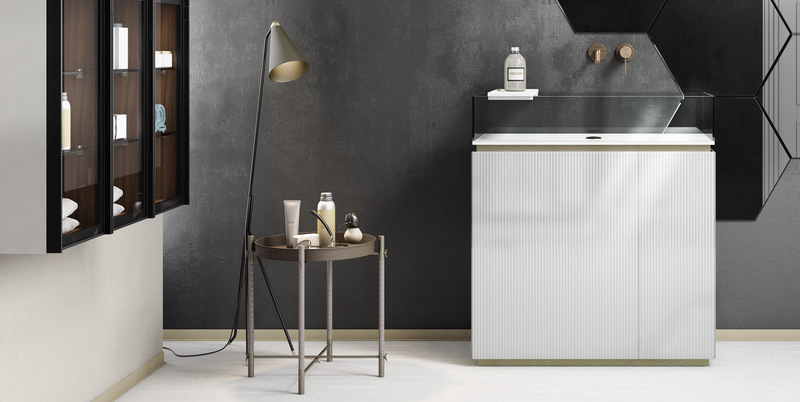 If you want to add a true statement piece to your bathroom then the plissè collection is for you, its combination of precise shapes and elegant use of glass, with some metal details, makes these units a show-stopping addition to a bathroom. 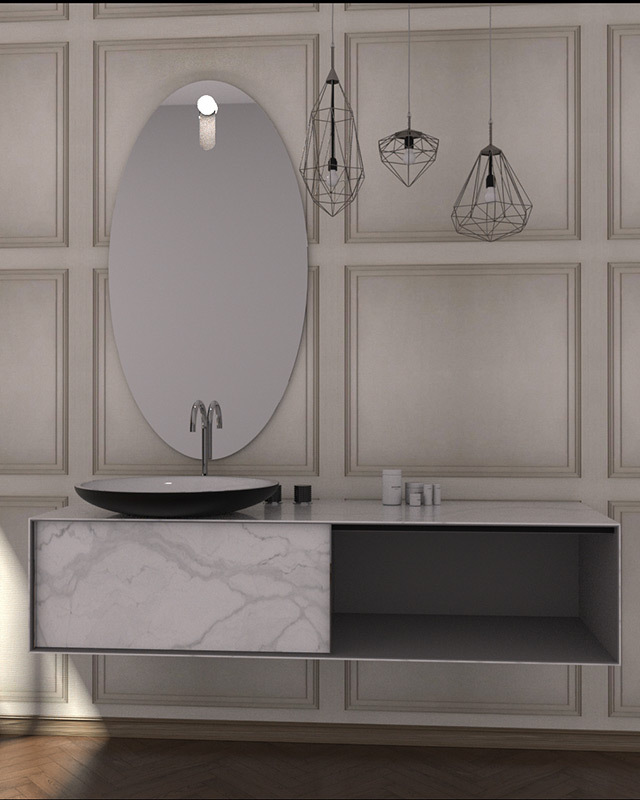 Our design team can be bought in before construction starts to optimise the floor space and add in features like the +skin collection, these units are wall fixed and utilise several materials including glass, mirror, decorative porcelain and print to create a bold vanity unit. Here at Concept Virtual Design, we make sure we are working with the most current designers and styles, to ensure that your luxury development or refurbishment project is completed to the highest standard and finish. To find out more about how we could enhance your project, please contact our design team or visit our specialist bathroom and tiles studio. Our in-house design team are available for consultations by appointment and are usually bought in at the start of the architectural design process or building process to ensure that the correct bathroom space is maximised from day one.